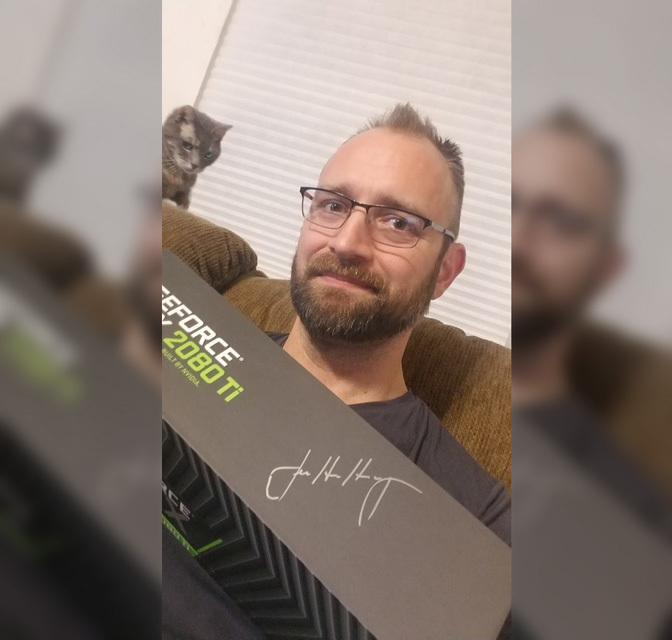 Here's a picture of Justin A. with his autographed GeForce RTX 2080 Ti! A huge thanks to Jensen Huang making this a one of a kind video card. It took a little longer than planned due to the holidays and CES but here it finally is. Also, a big thumbs up to Justin for being so patient.